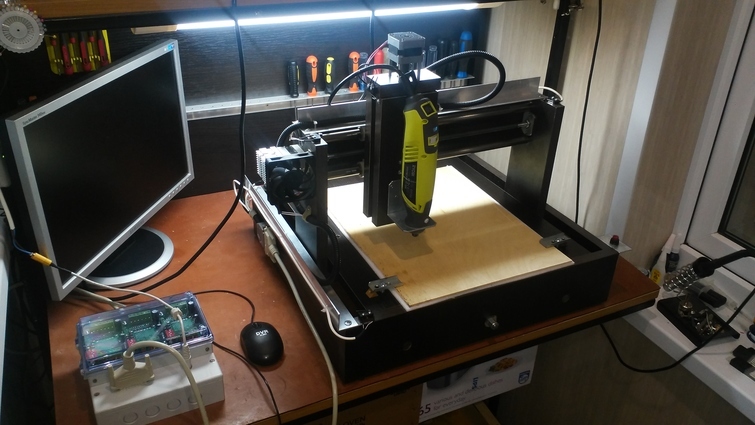 Today, computer technologies are integral part of our life, and one can hardly imagine RC modeling or drafting without using computerized systems. 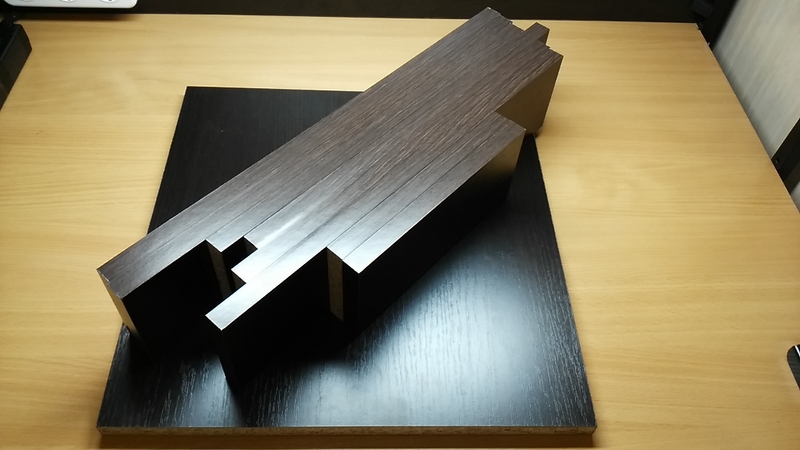 Drafts and blueprints of new sophisticated and exciting models with tons of tongue-and-groove connections are increasingly common on the Internet. I think you agree that doing that kind of lacework with a fretsaw would be pretty dull. The idea of building a hardware unit had been bugging me for several years, but the complexity and having to study tons of software was quite off-putting. Finally, I summoned up my thoughts, strength, and sound enthusiasm, and got down to business. This post is for those who want to do a good thing, and still have to beat their own fears. I’ll be focusing on details, which there are a lot. This one is going to take you all the way from building the machine down to crafting pieces of arts. Before you start assembling your device, you should attend a disassembling lesson and get some parts. This one requires those of an EPSON matrix printing machine. 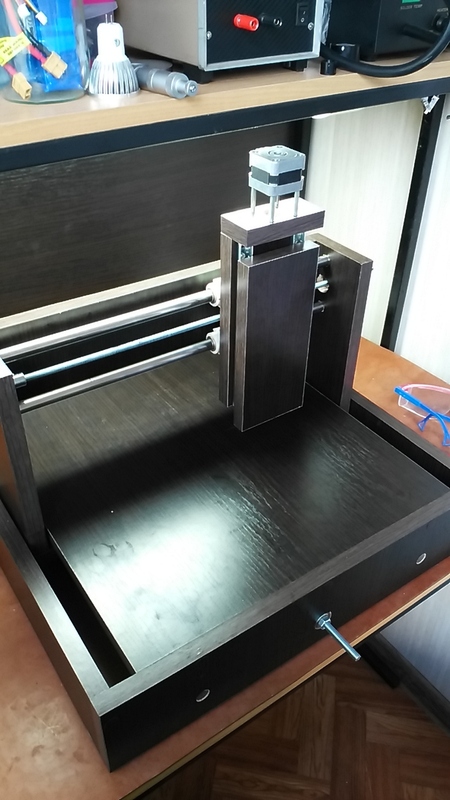 We are going to use four 450mm/14mm printing rollers and three EM-181 stepper motors. To build the body, we should go to a local furniture maker, get a layout and boards. Use an iron when sticking the edge tape on to it. This is no problem for former furniture makers. All you need to do is mark holes and drill. To drill holes for Confirmat screws, use either a double drill or two drills – a 6 mm and 4 mm one, the former – for a screw’s head and the latter – for the screw itself. 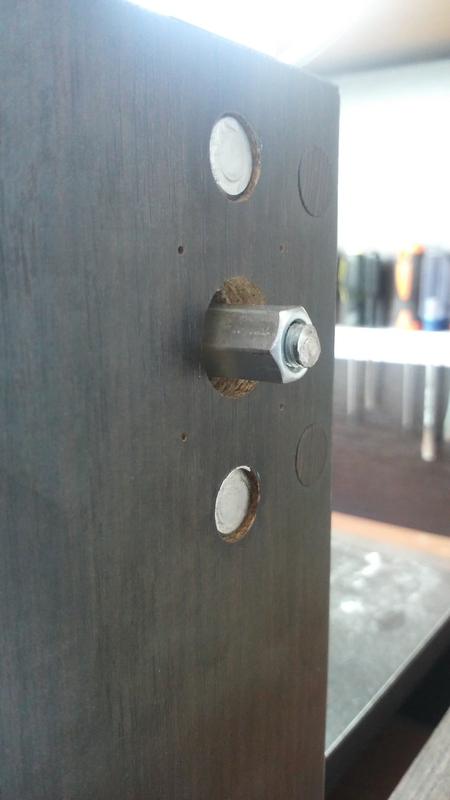 Fitment bores for bearings and guides should be drilled with a feather drill on wood. It should be noted that these drills are not gauged precisely. Most of them are 1 mm larger, so it is recommended to use a 13 mm drill to make fitment bores for 14 mm guides. To drill bores for bearings and prevent looseness, I had to grind off a feather drill. 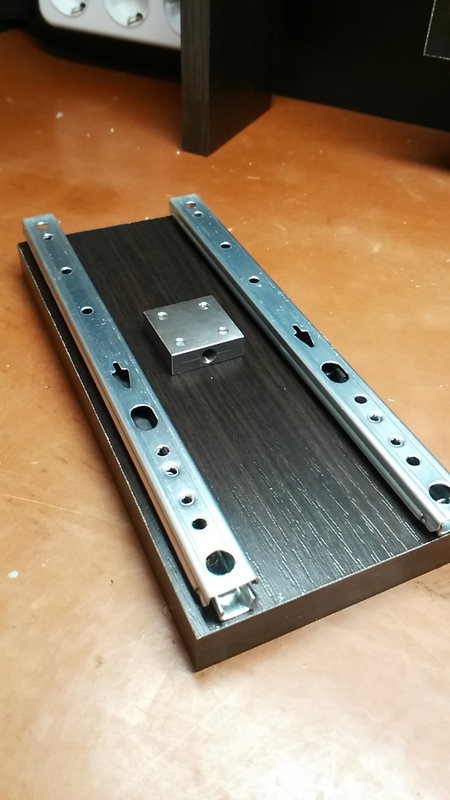 Now, let’s see how friction bearings should be made. 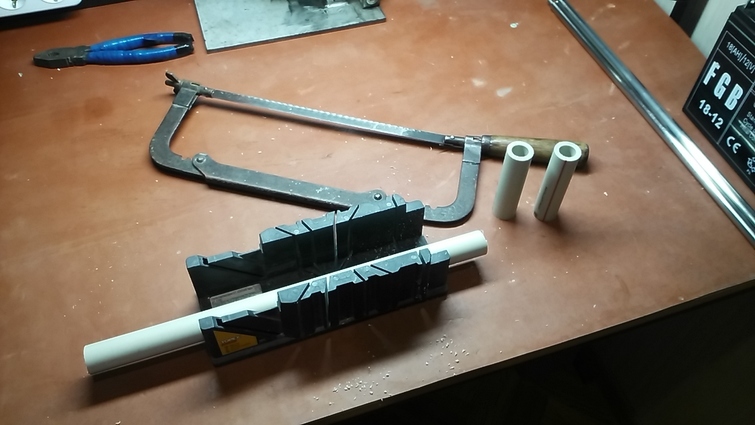 In a plumbing store I bought a one-meter-long 25mm piece of PVC pipe and a mount for it. You will also need bolts and nuts. 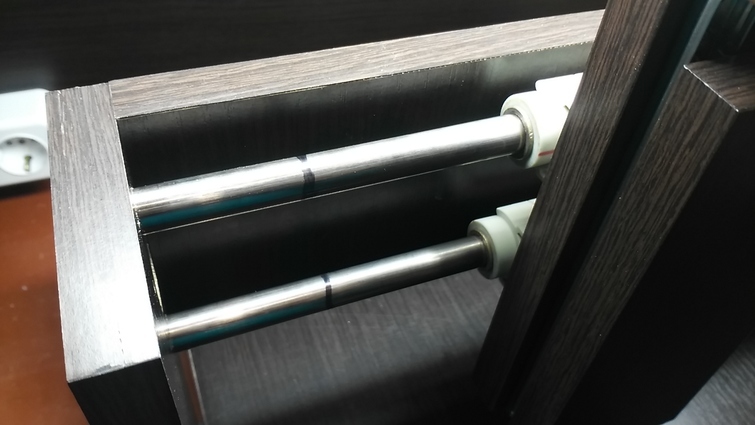 Cut the pipe into 95 mm long pieces and press copper-graphite bushings that are extracted from an EPSON printing trolley, with a clutch. 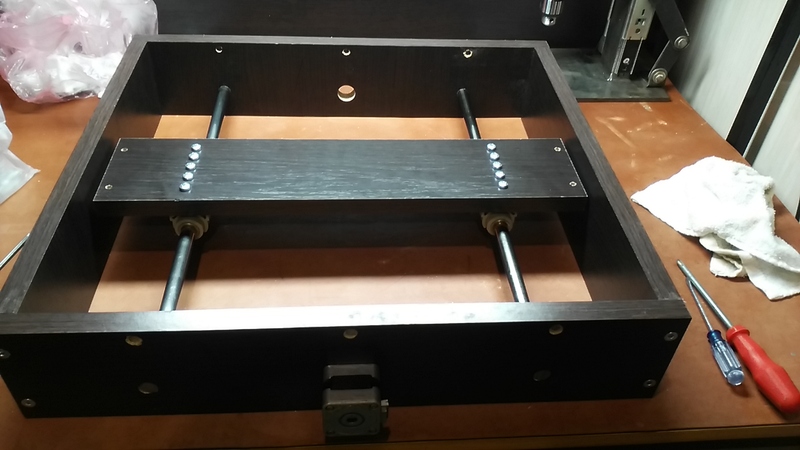 At thie point, we can start assembling the desktop – the foundation of our machine. Please, use Confirmat screws. Now we are close to our objective. Most likely, you will have to deal with slide units jamming at end points. It happens because you cannot drill all holes and bores with ideal precision even if you try your hardest. 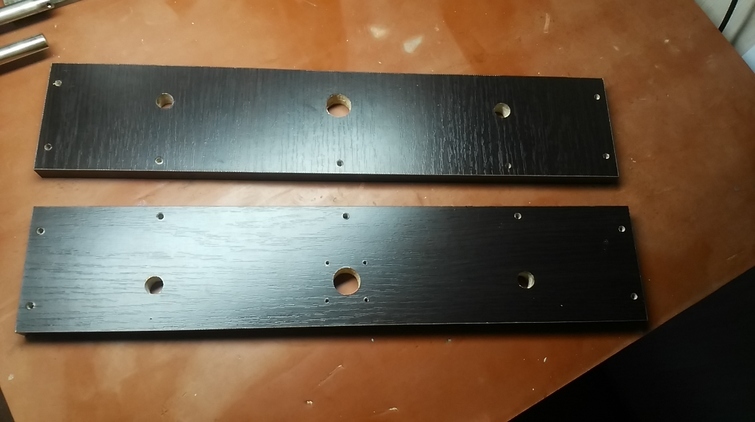 This is how I solved it: I rolled a piece of medium-grit sandpaper, thrust it into guide holes and profiled them. Then I made tin wedges and pressed them on the appropriate side. To define on which side a wedge should be fixed, I drew a ring around the guiding shaft on both sides with a mark pen. 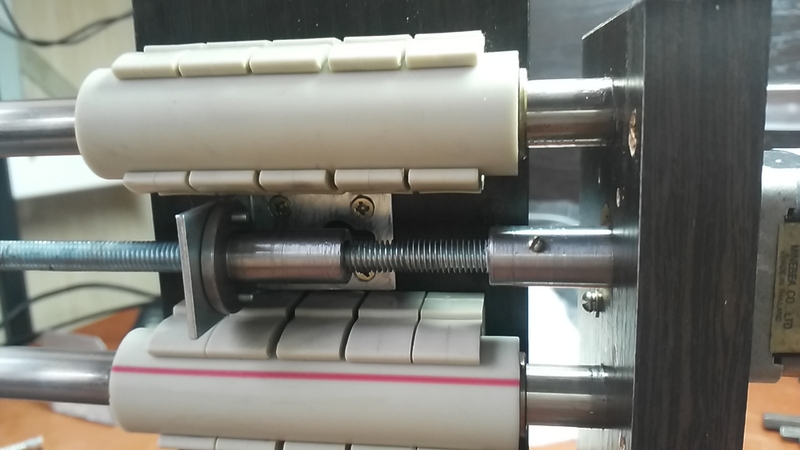 As you rotate the shaft, the rings will be blurred where friction takes place. 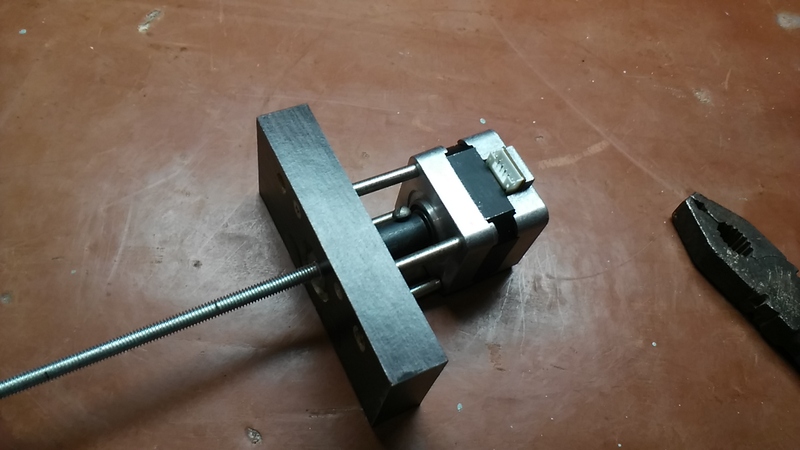 I used M8 architectural pins for axes X and Y, and a M6 bushing for axis Z. 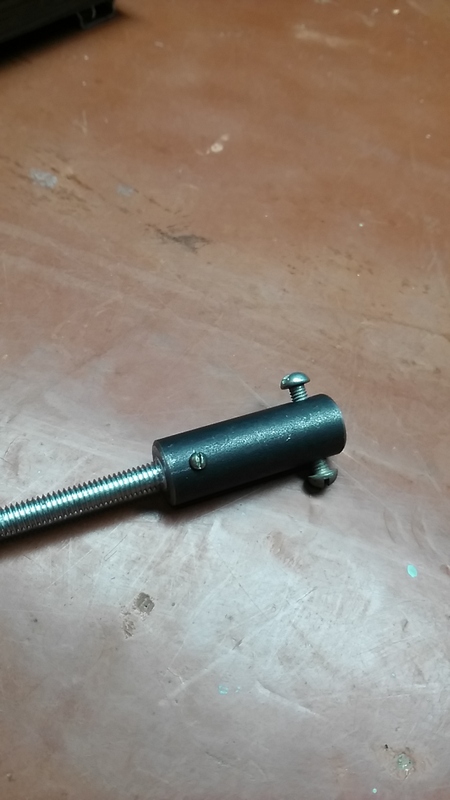 The pins are connected to the motor by tough couplings, which I had ordered from a turner. 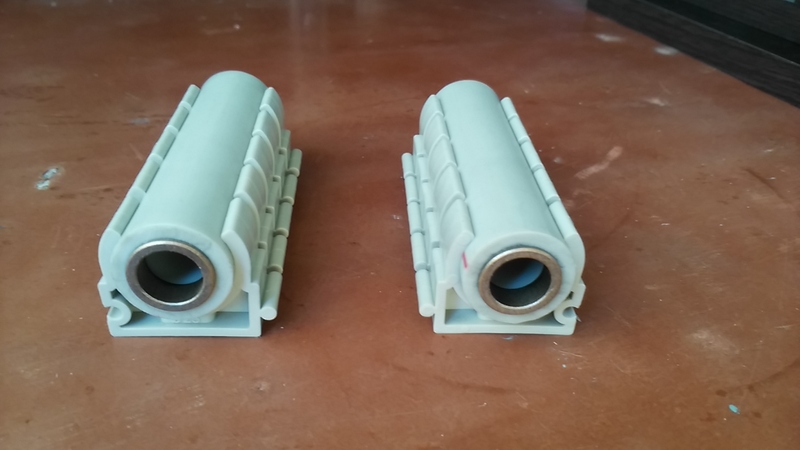 I strengthened the connection between the coupling and the pin with PTFE tape, which also acted as a kind of damper. 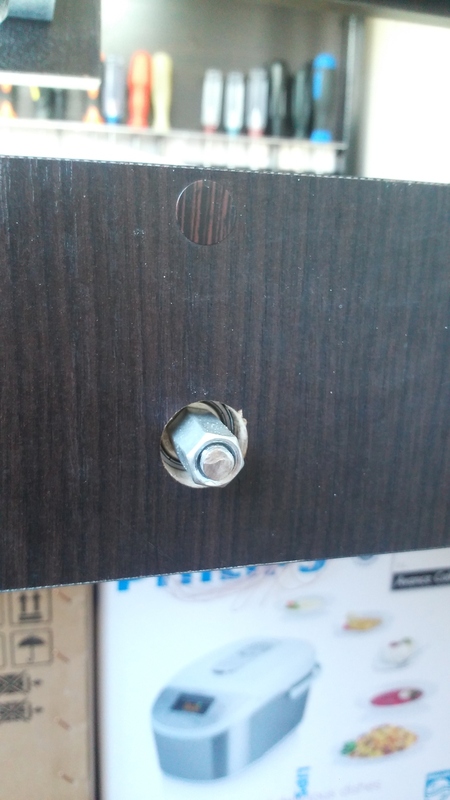 Then I drilled a hole on the side and locked it with a screw to prevent it from spinning. IMPORTANT! Please, do not screw threaded couplings until tight, because if you do, they will skew. 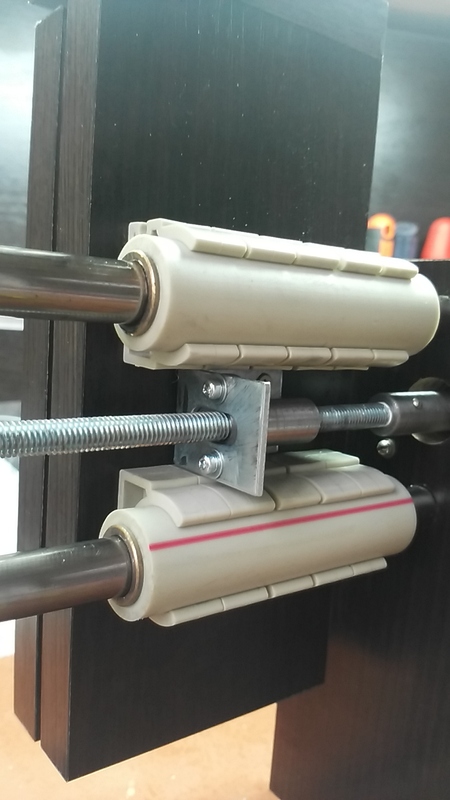 I recommend you to buy ready-made couplings, because they are not too expensive ($1-$2) and work better. 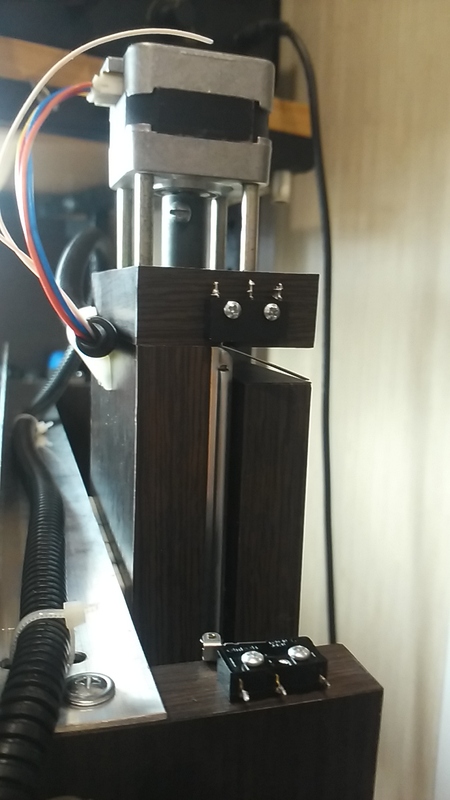 Mount the Z-motor on pins, so the coupling won’t interfere. I used a hand-operated 150 Watt RIOBY engraver as a spindle. I mounted it using an architectural angle. 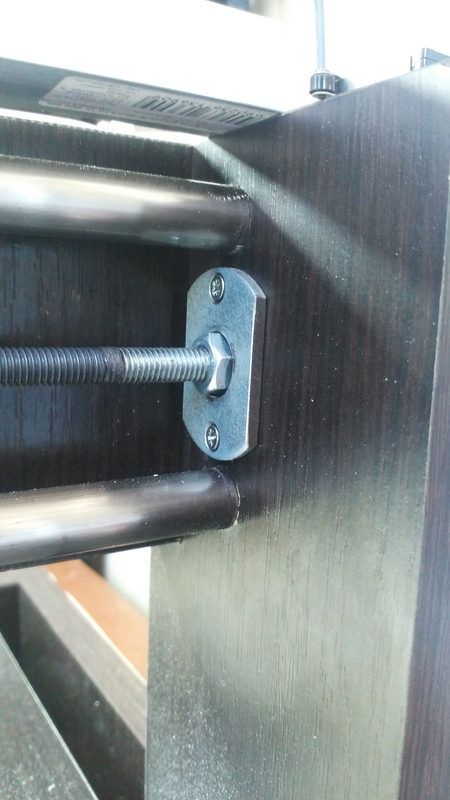 I made all bolt connections a little loose to leave room for adjustment before final tightening. That was to help me avoid jams. When assembling this unit, you should focus on preventing jams at end positions. 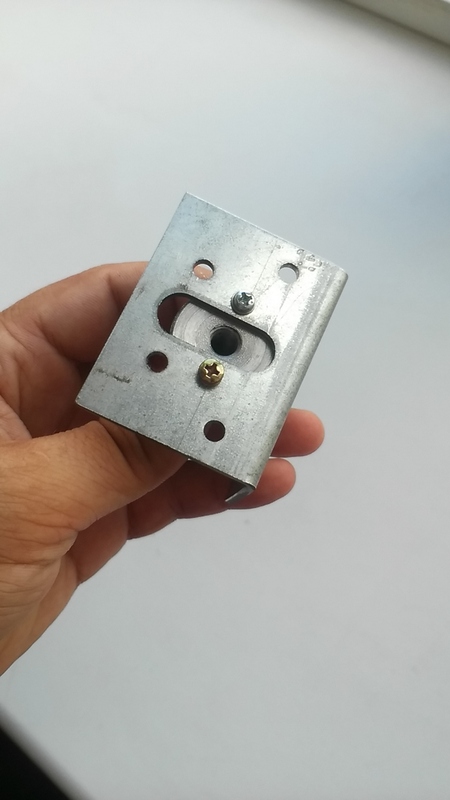 Now we put the unit together without screwing it until tight, move the unit to the end position; please, make sure that the stud-bolt is rotating without a hitch. Then tighten the bolts. If the pit goes tough, release the bolts and find out what has caused the jam. Use spacers when necessary and tighten the bolts again. This is it for the mechanical part of it. 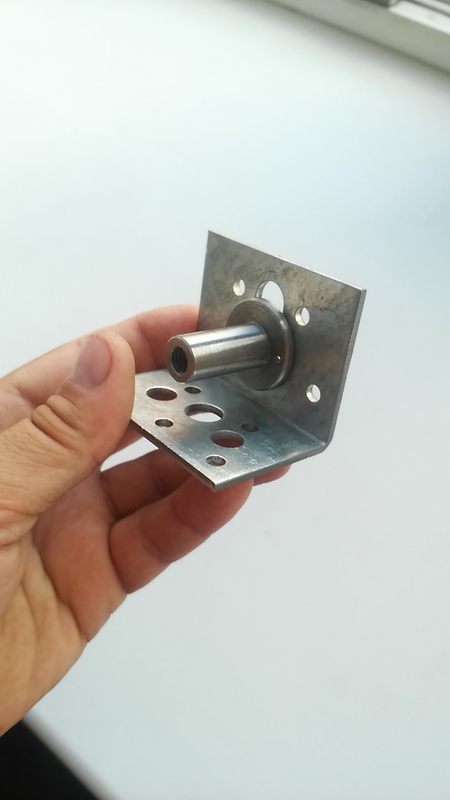 The stud-bolts located opposite the motor should be mounted on bearings, and before installing them, you should fix a support for the bearing. I made the support out of a metal washer. 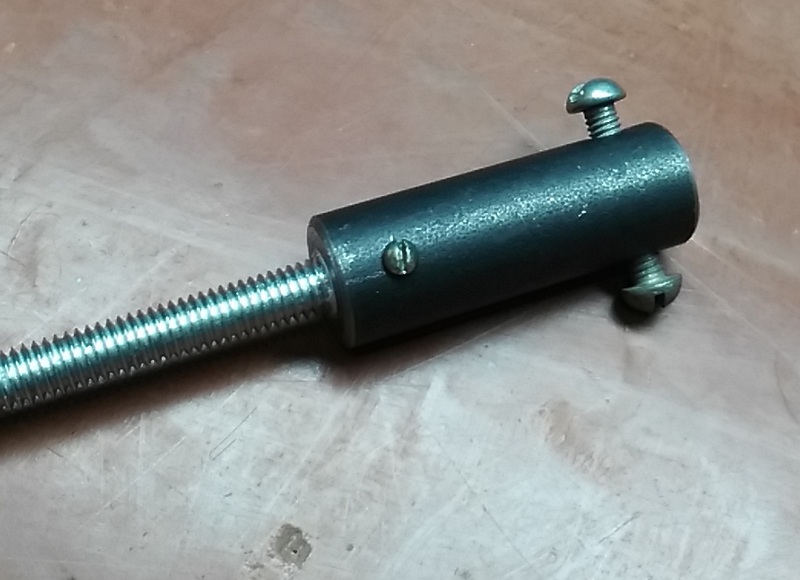 Now, an important note: wrap a piece of tin around the stud-bolt’s end, fit the bearing onto it, then tighten nuts on both sides. 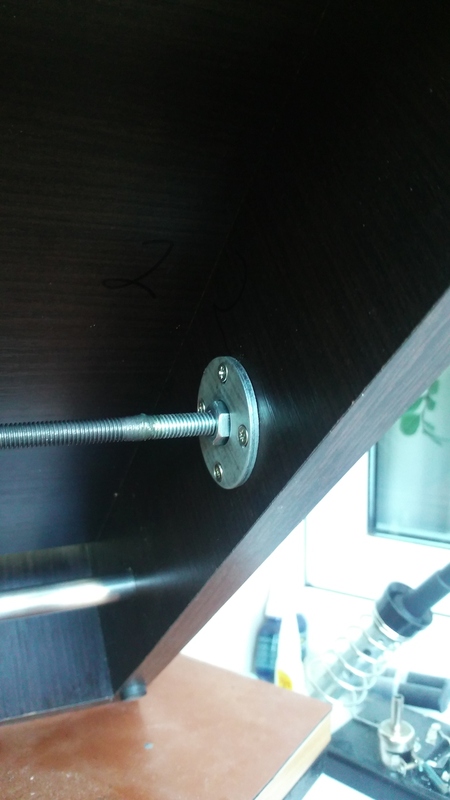 Please, do not tighten the screws too much, or you may end up with an arched stud-bolt. Tighten the screws to do away with the slop and glue them. First, we are going to upgrade the engines. EM-181 engines are unipolar, which means that they feature four coils, which are interconnected in a specific way. Our drivers work on bipolar engines, each featuring two coils. Release the four screws and remove the engine’s back cover. Cut the track in the specified place (marked with a red "X"). The Coil 1 tracks are marked with “As”, and the Coil 2 tracks – with “Bs”. Let's skip the details concerning electronic components. Instead, I’ll show pics, which speak for themselves. However, I’d like to note that the switches will not function until you connect a 12V battery to the board along with a 5V USB battery. I have no idea why it happens so, since there was nothing about it in the manual. It took me a while to understand why I couldn’t launch the MACH for so long. I bought a 10 mm wide plastic corrugated pipe at a local store to use it as a cable handler. 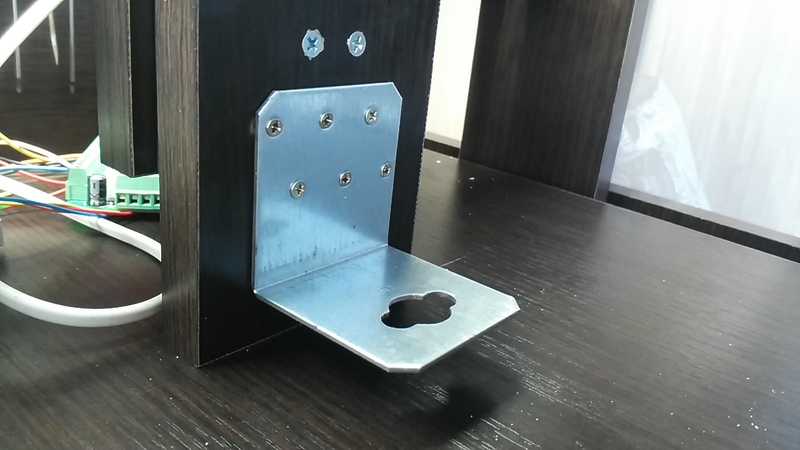 The cable duct is made from an aluminum angle. 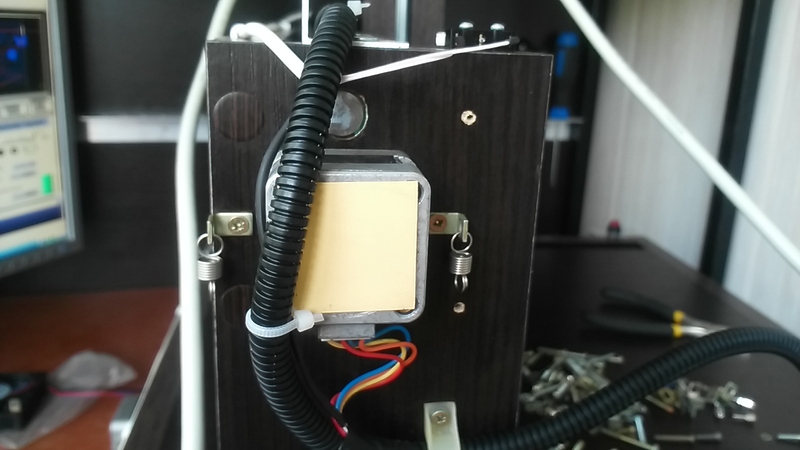 When I was testing the machine, I discovered that the drivers were not set up properly. More specifically, they were set up for 3A, which proved bad for the engines, and in 20 minutes one of them began to smoke. To prevent such incidents in future, I set it up to 1.2A and equipped it with radiator and fan cooling systems. 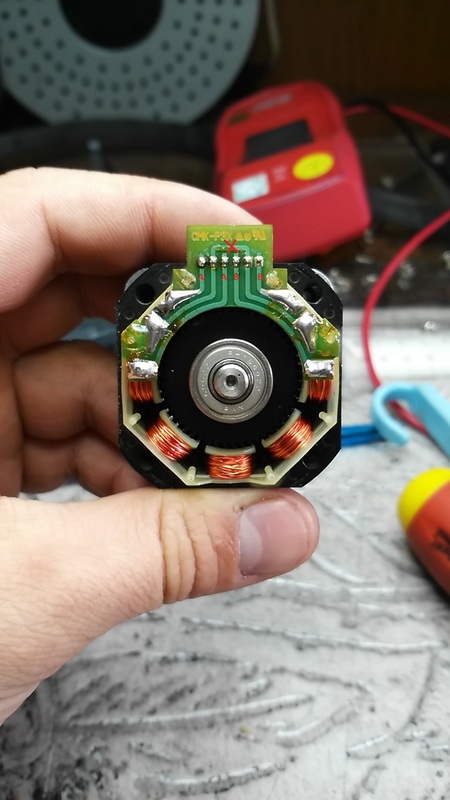 Later I found out that the motors would overheat at low feed; correct amperage and 10-15mm/sec feed would result in just moderate heating. 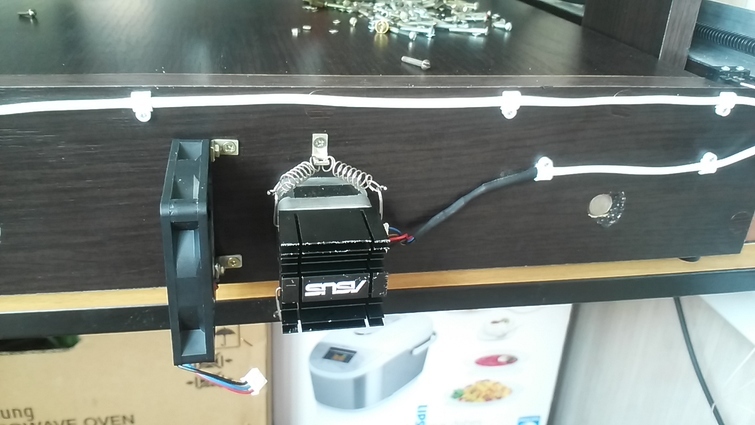 Then I packed the systems in a nice-looking body, which I had come across at a local market. It cost me $4 dollars and turned out to be ideal for my cutter. For more detailed information and pictures, please, click here. Now a few words about the MACH3 control software. Instead of going into details, I’ll just give you a brief outline on how to get the motors to spin in the right direction and cover the needed distance. Download and install Mach3. Select “Port and Pins” in the “Config” menu and check the needed port. Choose 25000Hz in the Kernel Speed section of the dialogue to get the cutter to work at a normal speed. 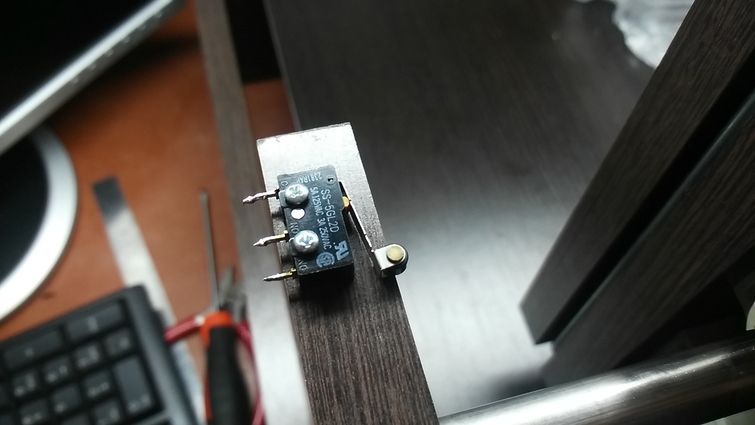 Set the drivers to Micro-Stepping divider 1:8. 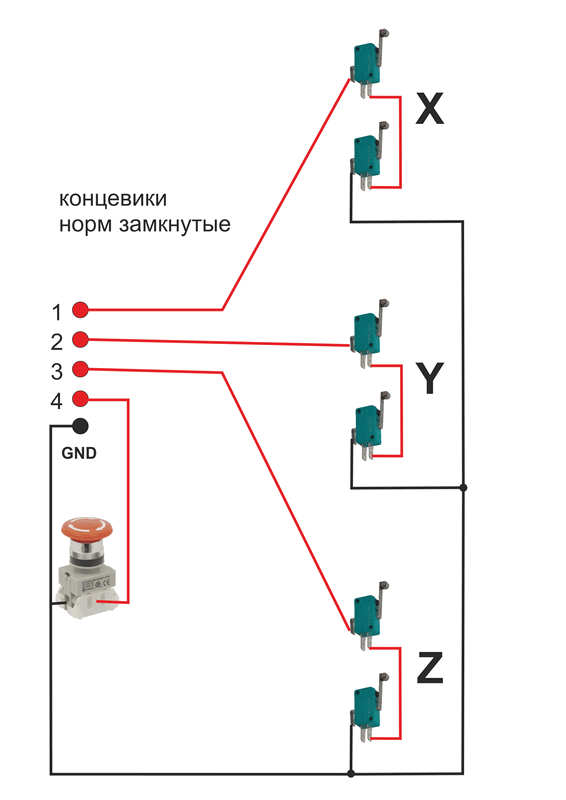 Choose the “Motor Outputs” tab and check Axis X, Axis Y, and Axis Z to activate them. 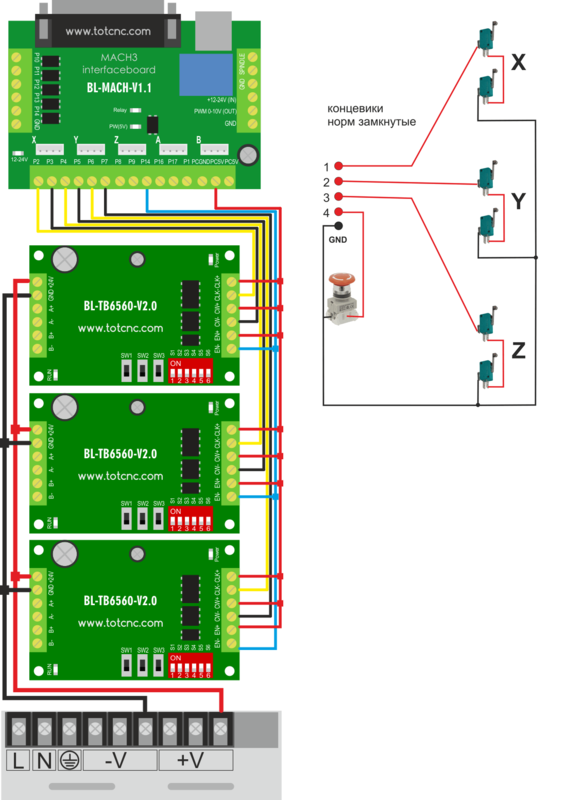 See the ports of the opto-isolator board, to which our drivers are connected, and type the numbers in the fields “Step” and “Dir” (direction). The “Step low active” option, if checked, regulates motor step with positive or negative pulses. The “Dir low active” option regulates spin direction. 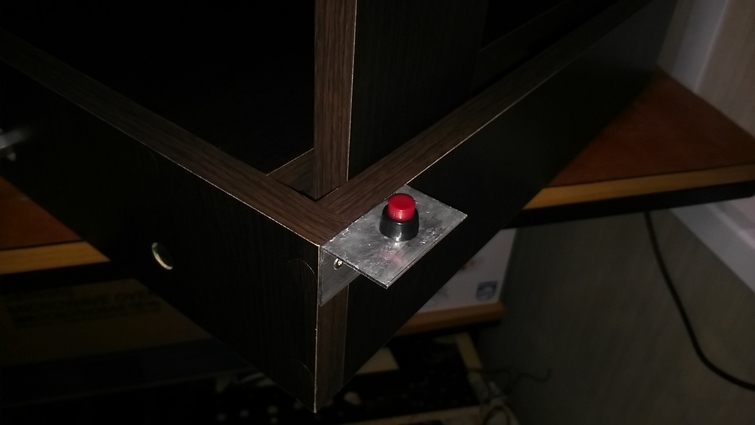 Limit switches that are mounted on the axes are there to indicate the reaching of the desktop's end. 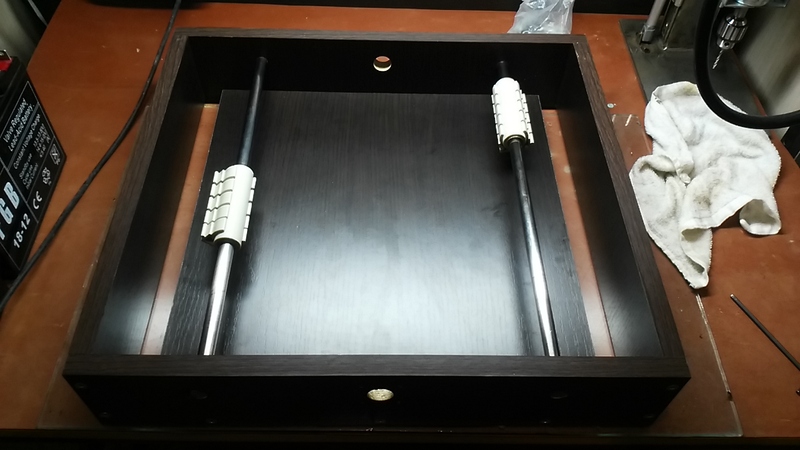 Thus they prevent damage to the mechanism. Once a switch is activated, the device will stop working. 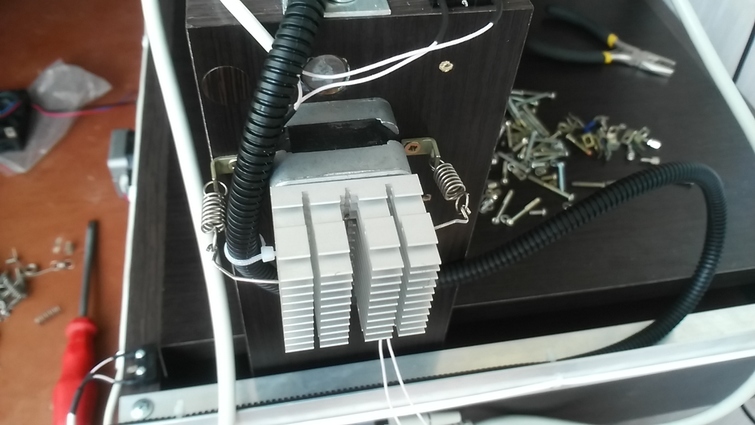 In this case, the Z axis is connected to Port 13, the Y axix – to Port 12, and the Z axis – to Port 11 of the opto-isolation board. The “E stop” button is connected to Port 15 and is activated in case of short-circuit. Please, note the following: even if you do connect all drivers and control pins properly, none of the engines will work without a launch command. Open the “Output signal” tab and check the “Enable” boxes. Specify a port number, to which the EN contact is connected. 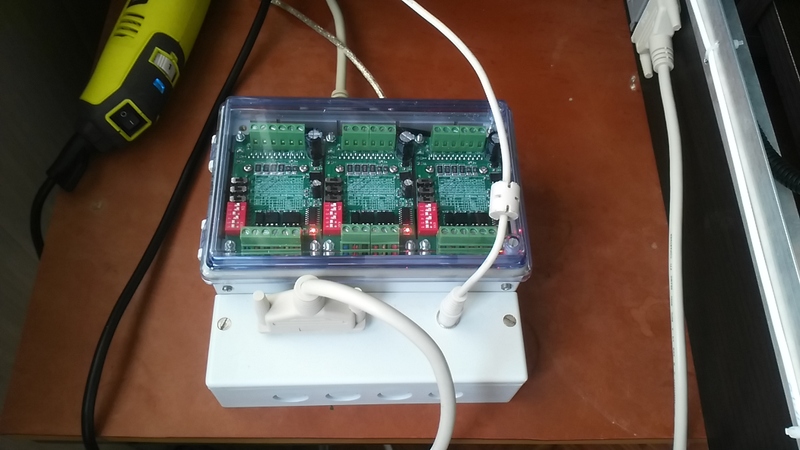 Although it is possible to connect all of them to one port, I connected all three divers to Ports 14,16,17. Now we are through with the settings except for just one final touch. The slider nuts do not feature backlash compensation. This kind of design makes it difficult to remove one. Software developers did take care of this issue. All you need to do is activate compensation and set its value. In the Config menu, select Backlash, specify values for each axis, check Backlash Enabled, and click OK. 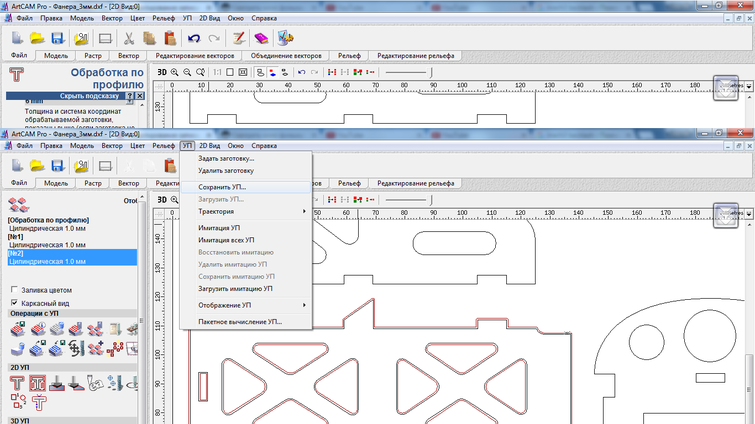 In the Size for New Model menu ("размер новой модели"), set the width and height of our plywood work piece, which we have attached to the desktop. 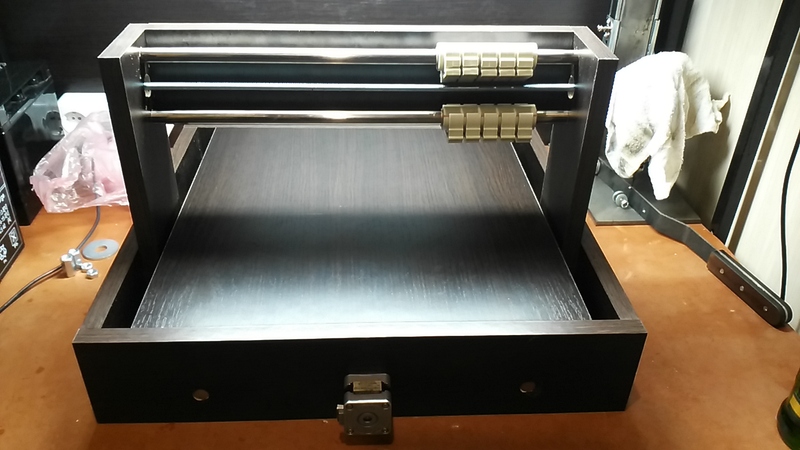 To keep the engraver’s desktop undamaged, I clamped the work piece to it using a ceiling foam or laminate underlay. Set work piece size (300x300) and double-click OK. Arrange the elements starting from the bottom left corner - a default position of the zero point. First, we should cut out internal elements. 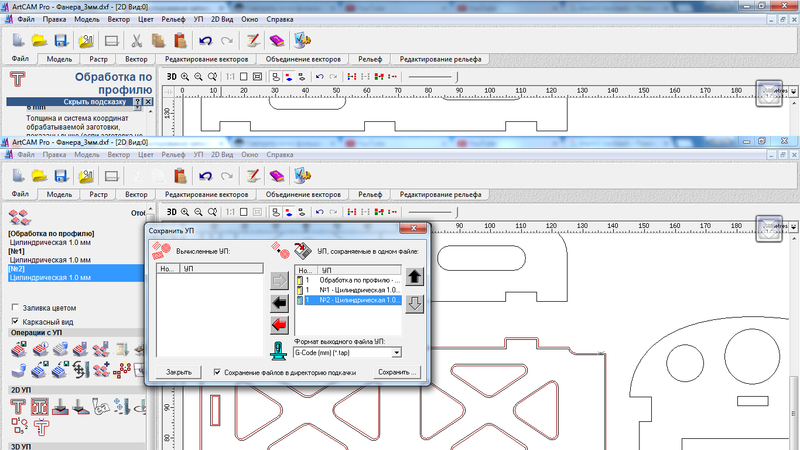 To do that, select “УП” (Toolpaths) in the toolbar’s bottom left corner. Highlight the number of internal elements using the "2D УП" (2D Toolpaths) section and open the Profiling menu (“T”). 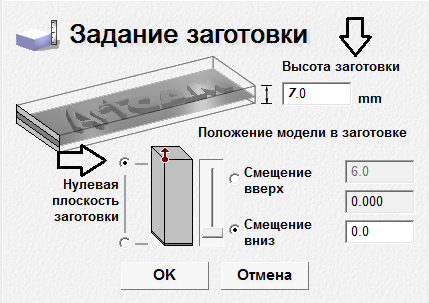 In the Profile Side ("сторона обработки") field, select Start Depth («Начальный проход») and set it to “0”. This is going to be the top side of our work piece. Set Finish Depth to slightly exceed the plywood’s thickness. 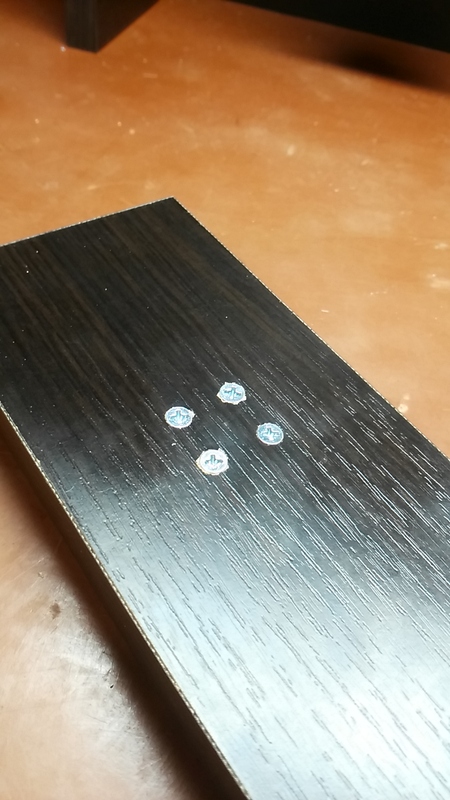 We have a 3mm thick piece, so you should set Finish Depth to 3.2 mm. Next comes Safety Plane, it’s pretty clear, as it regulates the distance between the cutting tool and the work piece. Now the Tool Groups Database. Select a tool, adjust feed rate, plunge rate, and stepdown. We are using a 1 mm corn milling cutter. Feed – 10mm/sec. Plunge – 3mm/sec. Stepdown – 1.1mm. With this plunge, it will take three stepdowns to cut through the work piece. Click Select. In the Material Setup dialogue set Material Z zero, Bottom Offset, Top Offset. Material thickness – 7 mm (underlay thickness – 4 mm + plywood thickness – 3 mm). Next thing we do is specify the toolpath name (for example – No. 1) and press “Now”. 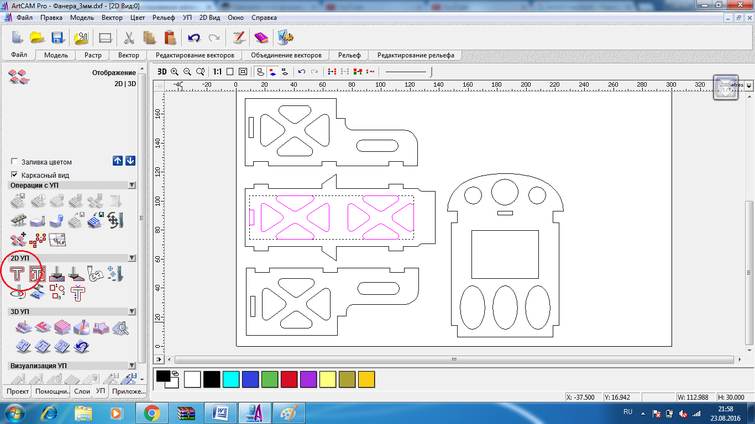 The vector of the tool’s path will appear on the inside. In the left-hand window you can see all profiling programs created by you. The profiling will be carried out in the order, in which you move them to the right-hand window. Place each program in the right-hand section, select Save, and set individual names. 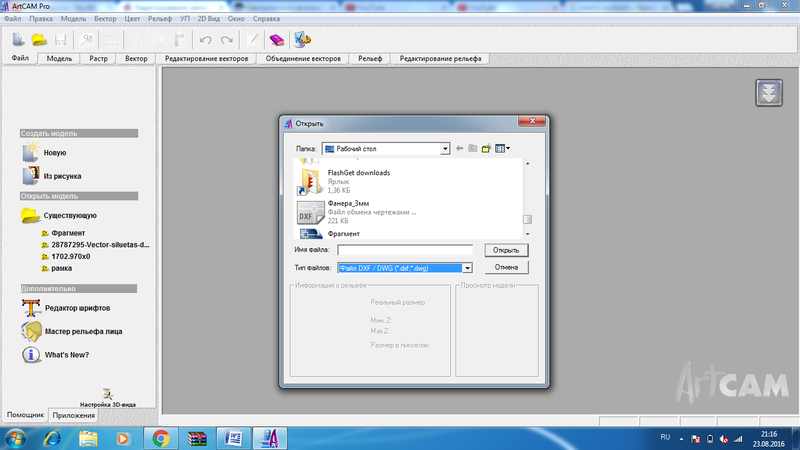 Now our program is ready for work in Mach3. We have just programmed the engraver to do the job. 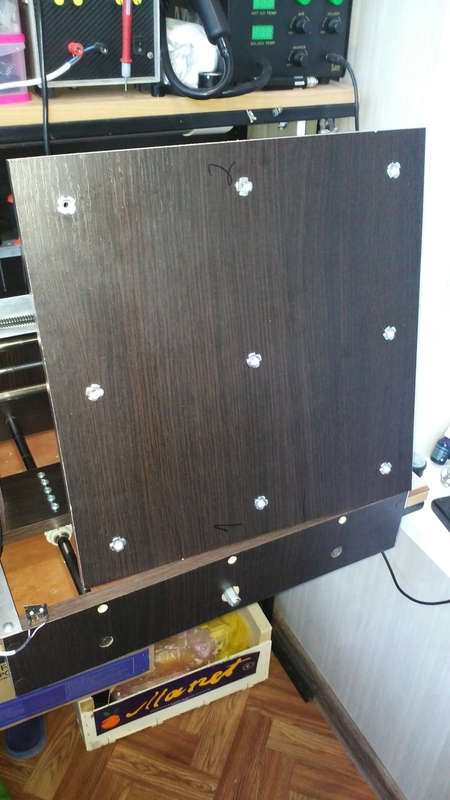 Fix the plywood piece. Launch the machine. 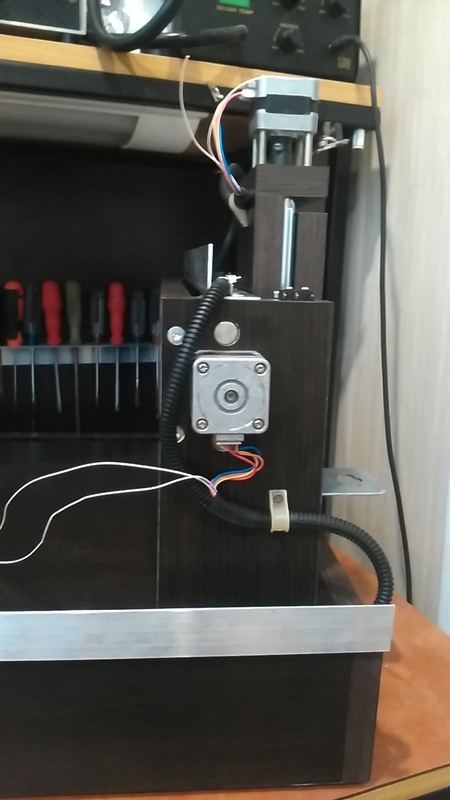 Move the spindle to the zero point (the bottom left corner) using Pg Up and Pg Dn buttons and plunge the cutting tool until it touches the plywood. Open the MACH3 menu and set all three axes to zero. Press Load G-Code to load thre program. 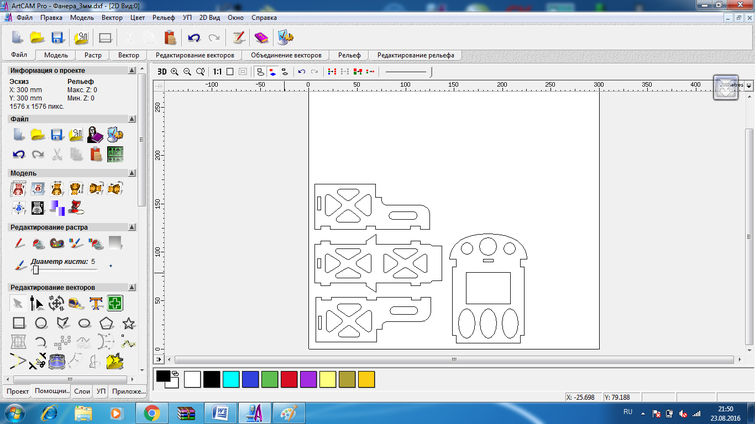 Launch the spindle, press Cycle Start and go have a cup of coffee. 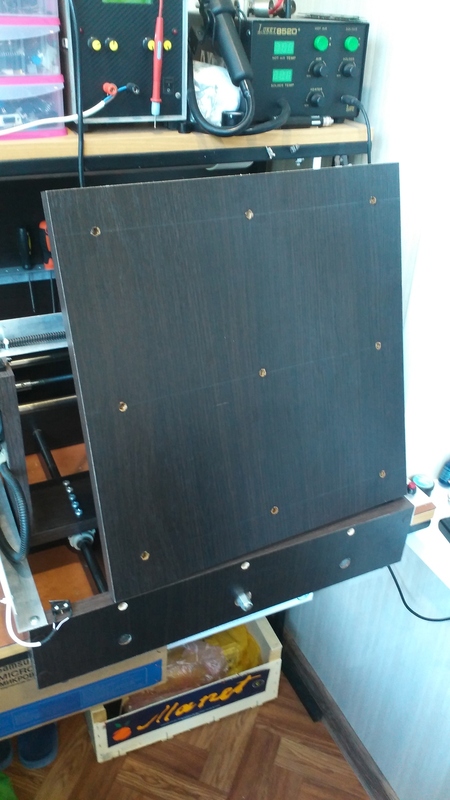 And one more important thing: plywood can be deformed, and its fixation to the desktop may cause it to warp. With big objects deviation may get as big as 1 mm. 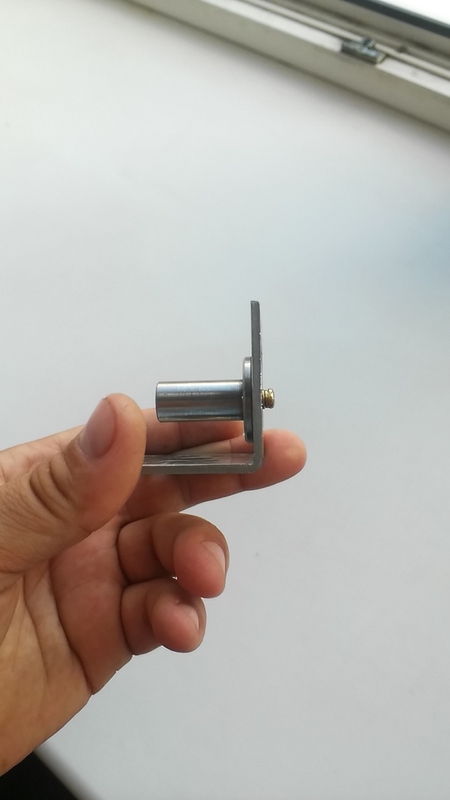 This engraver is not the most powerful one, and the milling cutters are rather thin. Our plunge depth is 1 mm, and if your piece warps upward, you may end up with a 1.5-2 mm plunge. This may cause the cutter to heat up and break. 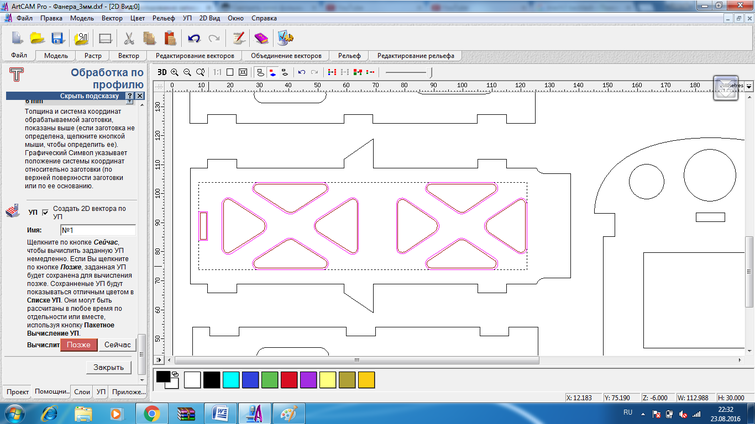 Therefore, prior to cutting, I usually check the maximum height by running the cutter over the work piece. When profiling, I keep the deviation in mind. Now wait until the machine finishes its work and enjoy the result! After setting up the engraver and test-running it I received a little order from my wife to compensate for the dust and noise lol. Here is a little frame for my daughter’s picture. Thanks for reading. I hope the post will help beginners, inspire them, and fuel their creative potential! 4813 NEMA17 talk 1, 3A, 5.2 kg * see what pitch you can afford? and if the Shafts use 8-10 mm? Studs I found. But with the undercarriage nut problem. How much you cost nut machine operator have?